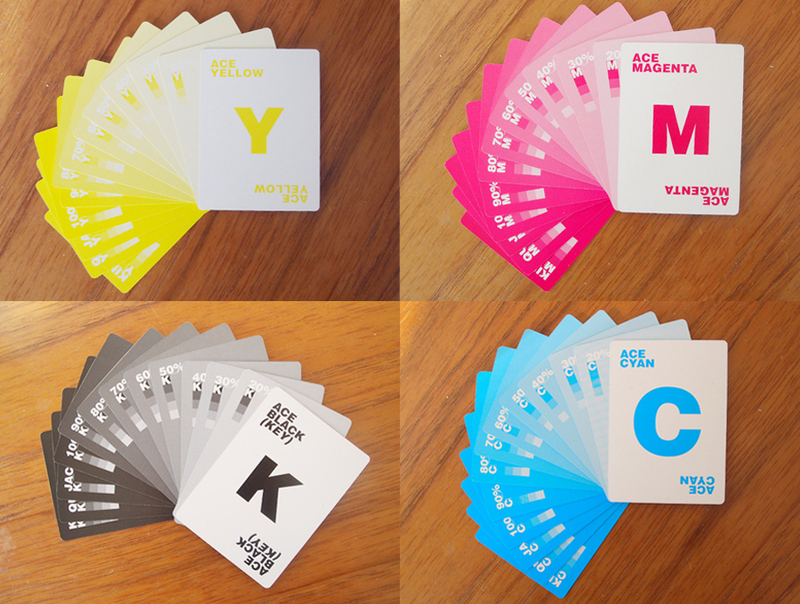 Say goodbye to the King, Ace, Queen, Joker and to that old deck of playing cards and say hello to these lovely CMYK Playing Cards. Basing on the CMYK print technique UK-based studio Hundred Million created these CMYK playing cards as a kick start stunt to get their name out. Needless to say that their stunt worked and it worked very well because after 2 since they launch the playing cards project, people are still asking and contacting the studio about it. That is why after 2 years of working on various projects, Hundred Million has decided to launch a Kickstarter campaign in order to raise money for the production funds of the CMYK playing cards. 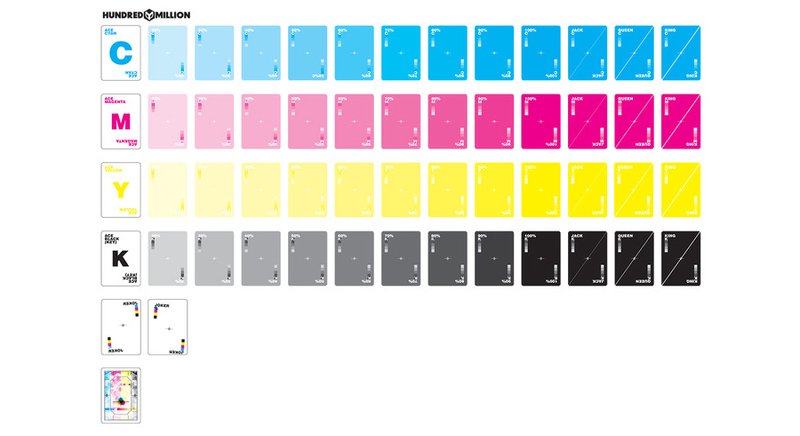 Instead of the usual suites and numbers, the CMYK cards features the CMYK colors to replace the suite and the color’s opacity percentage for the card’s numbers. The color opacity gradually decrease by 20% until it reaches the Ace card which is white. The ever so understated crop marks and registration bleeds that are given the stage as the card’s back design. The cards are made of German black-core paper done in a genuine playing card linen finish. The uniform design helps prevent those with perfect color vision from being able to count the cards based upon hue. The CMYK playing cards proves that there are a lot of people eager to see this product come out in a production line since the project is now fully funded even with 24 days left. The Kickstarter project was able to raise £5,008 ($8315.28) exceeding it’s £3,000 ($4981.20) goal. At the cost of £9 which is roughly $15 people can pre-order a set. Paying the handsome £36 or $59.77 will give backers 6 full decks. While it may not be that huge best-seller product everyone is clamoring for, the CMYK playing cards has hit the perfect niche. These cards are a perfect gift for designers as well as those who work in the printing industry. To check out more of Hundred Million’s amazing design work, head over to their official site here.